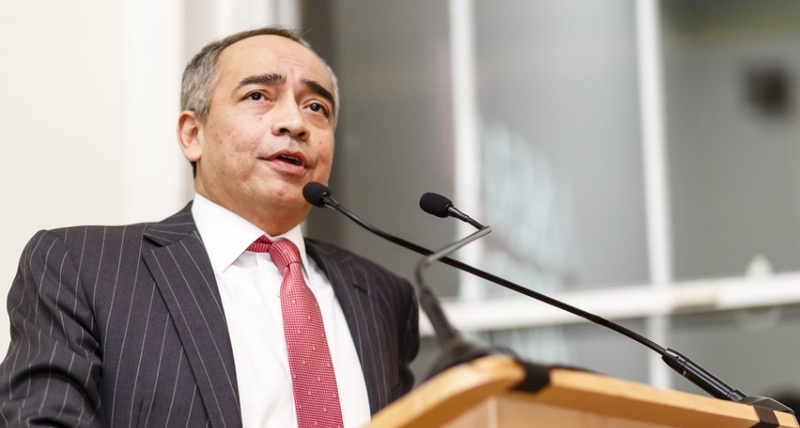 “ASEAN Economic Community in 2025” by Dato’ Sri Nazir Razak. Originally published in Asia 2025 launched by the Asia House By the time this essay is published, the ASEAN Economic Community (AEC) will have become reality, an important milestone in the long and winding road to the economic integration of ten ASEAN economies. However, the AEC has fallen considerably short of the target of “a single market and production base, characterised by free flow of goods, services, and investments, as well as freer flow of capital and skills” articulated in the 2007 ASEAN Charter. Despite having often expressed frustrations about the pace of integration, when I look at the AEC in the long-term context, I am impressed by what has been achieved. It is quite probable that the authors of the Charter intentionally set excessively high ambitions to drive the ASEAN Secretariat and governments to achieve as much as possible. By the end of 2015, we achieved over 90% of the so-called AEC scorecard, with the removal of almost all tariffs, many important multilateral initiatives at various stages of implementation and the proliferation of ASEAN multinational companies. My own banking group CIMB is an example of an ASEAN multinational that would not have expanded into almost all ASEAN countries if not for the AEC, and now every day we are enabling more intra-ASEAN trade and investments because we make it easier for businesses and individuals to operate across borders. However, non-tariff barriers remain very high and prohibitive – intra-ASEAN trade remains low at less than 25% of total trade (by comparison, intra-EU trade is 70%) and anyone operating across borders in ASEAN can easily see so many ways to facilitate more intra-ASEAN trade and investments. As the AEC is declared with much fanfare, I believe that we can safely say that ASEAN economic integration is irreversible. There is too much momentum and vested interest behind the idea now. However, there is still a huge amount of work required to make ASEAN an economic community. So the real questions to ask are “What sort of economic community will we have in ten years, in 2025”? and “Will we have achieved the Charter’s promises by then? As someone once said, “The pessimist complains about the wind, the optimist expects it to change, the realist adjusts the sail”. If ASEAN adjusts its sail after honest reflection of why we have fallen short and what we need to do, ASEAN can no doubt become a formidable economic region. ASEAN is already a firm engine of Asian economic growth, the world’s third fastest-growing economy after China and India, and the seventh-largest regional economy, with a combined GDP of US$2.4 trillion. Competitive companies have successfully capitalised on the scale economies of the world’s third most populous region of 633 million and taken advantage of the region’s incredible diversity in religion, race, culture and political system. Intra-ASEAN share of total trade stood at US$608.6 billion or 24.2% as at July 2014. In 2025, it could exceed US$1 trillion and account for more than the 30% of total trade. Estimates also show that ASEAN constituted only 1.9% of the world’s GDP in 2000 but its share can more than double by 2025, with many free trade agreements signed with other countries and regions. For these targets to be achieved by 2025, regional financial markets will have to be much more integrated, with capital easily flowing back-and-forth across borders and banks operating in multiple markets with ease. With the ASEAN Single Aviation Market and the completion of major road and rail projects, including a mega high-speed rail project linking Malaysia and Singapore, people would be able to travel cheaply and conveniently across the region, and from the region to Asia’s two mega-economies, India and China. Businesses will genuinely look at ASEAN as one region, operating horizontal or vertical synergies across borders as their business needs dictate. Skilled workers will be able to move across borders to work where they want without national-level constraints on qualifications, permits and so on. These are not radical ambitions. The picture I paint is very much in line with the original AEC agenda, which is about bringing economies closer and generating more cross-border trade and investments. There will not be a single currency or fiscal policy convergence of any sort. However, after witnessing the trials and tribulations of the original AEC project, we all surely must agree that there need to be changes to how we implement the AEC post-2015. To have a chance of making the 2025 that I just described a reality, ASEAN must start by quickly doing three things after the AEC is launched: 1) recognise that the AEC fell short and there is much to do and so more of the same way won’t do, 2) embrace the notion that economic integration will require some concessions of sovereignty, and 3) commit to enhancing resources of the ASEAN Secretariat and drawing on the support of the private sector. ASEAN needs a larger and more empowered secretariat. In 2014, the ASEAN’s Secretariat’s budget was US$17 million, whereas the EU’s was €143 billion. The ASEAN Secretariat does not drive integration initiatives, but relies on inter-governmental committees. These various committees in turn operate based on consensus decision-making and are often constrained by a lack of independent views about key issues that impact member countries differently. If we look at the experience of the ASEAN banking integration for instance, we still only have a broad framework for Qualified ASEAN banks and details are being left to bilateral negotiations between countries or reciprocity arrangements. This was clearly the outcome of least resistance and has done little to change the way cross-border banking operates in the region. I think that if there was an independent body that helps drive the process, engages private sector more effectively and has the trust of member countries to impartially address their concerns, much more would have been achieved. At this stage, surely we would have had agreements on intra-ASEAN bank office outsourcing, staff transfers and information-sharing across borders, which are value-enhancing without threatening national interests. The “elephant in the room” as it were is the tension between the established so-called ASEAN Way and the real necessities of economic integration. Economic integration simply necessitates concessions to national sovereignty, including an empowered supranational body to not only drive integration initiatives, but also enforce commitments to it. ASEAN governments must accept the need to make decisions in the wider interest of the AEC, and must not pander to vested interest disguised as nationalism. I remain as excited about the AEC as I was when I first heard of the concept almost ten years ago. And by 2025, we can get to the original promise land, but not if our governments are unwilling to change the way we were trying to get there. The prize is great, so we must have the will to make the change.